I never finished writing about our boat ride in the bay last month. 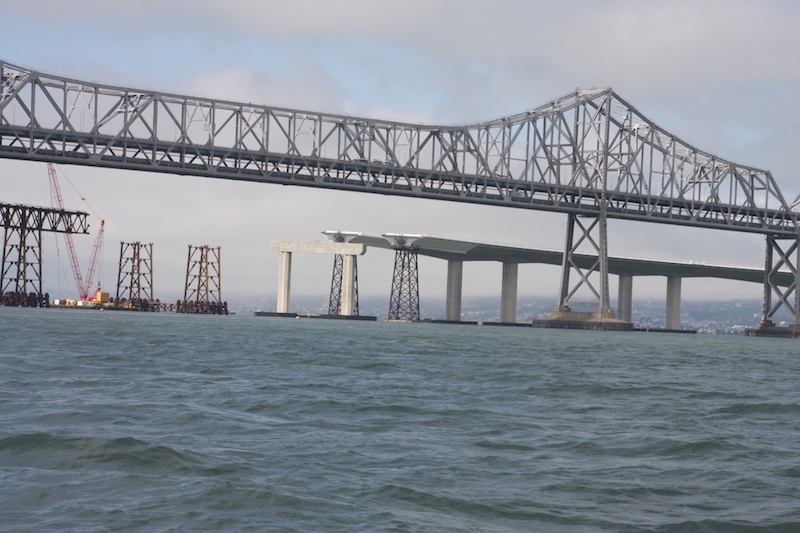 There isn't much more to say, but this weekend seems like an appropriate time to finish the story because the Bay Bridge, which travels from San Francisco to Oakland, will be closed this whole Labor Day weekend. much still needs to be done. 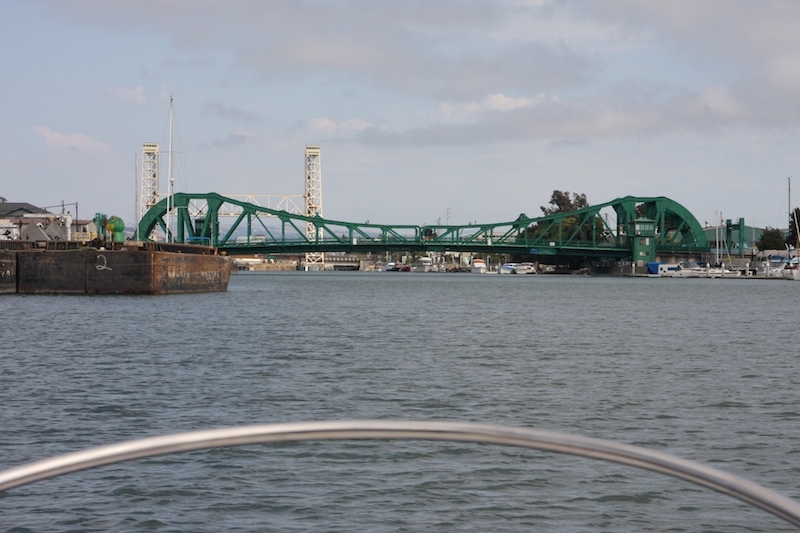 You can see the old bridge in the foreground, the new incomplete bridge behind it. This'll be the 3rd, maybe 4th year they've closed the Bay Bridge for the entire Labor Day weekend. They even post signs in Los Angeles about the closure, just in case any Los Angelenos drive up here, at least they'll have a heads-up on the traffic nightmare that could ensue. We've wondered why they would close the bridge on a busy travel holiday weekend, but it's seemed to work in the past. I won't even guess when the expected finish date is. I did a quick look on their website and found nothing committing a date. 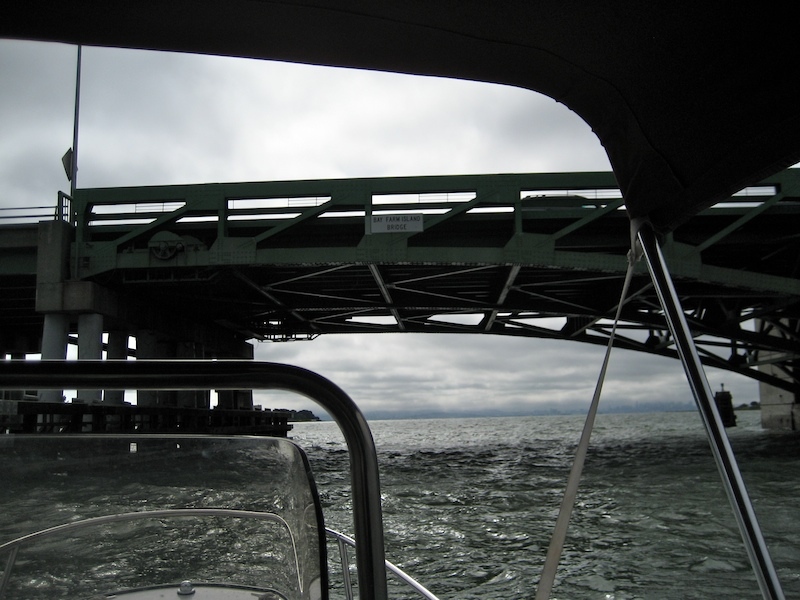 Getting back to our boat ride on the bay, we stuck close to the bridge and stayed in a little inlet around Alameda. 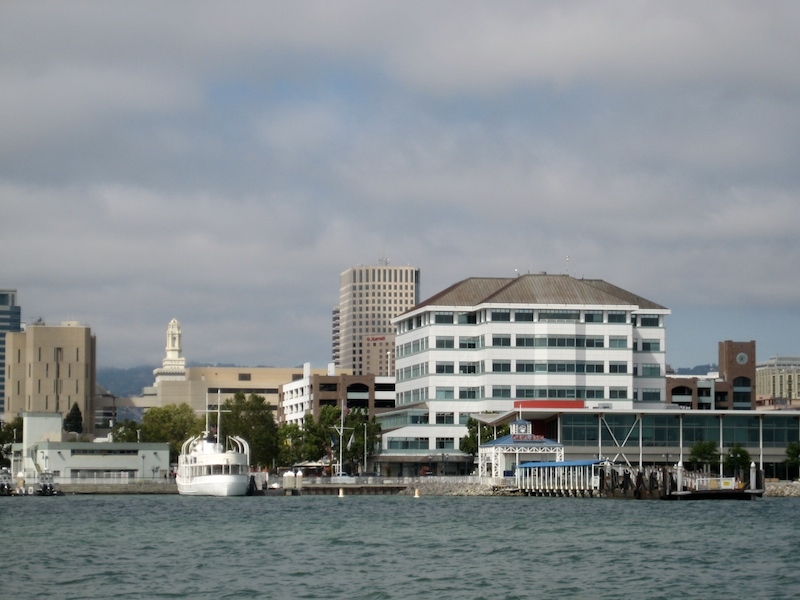 Alameda is an island next to Oakland, separated by the small inlet of water. 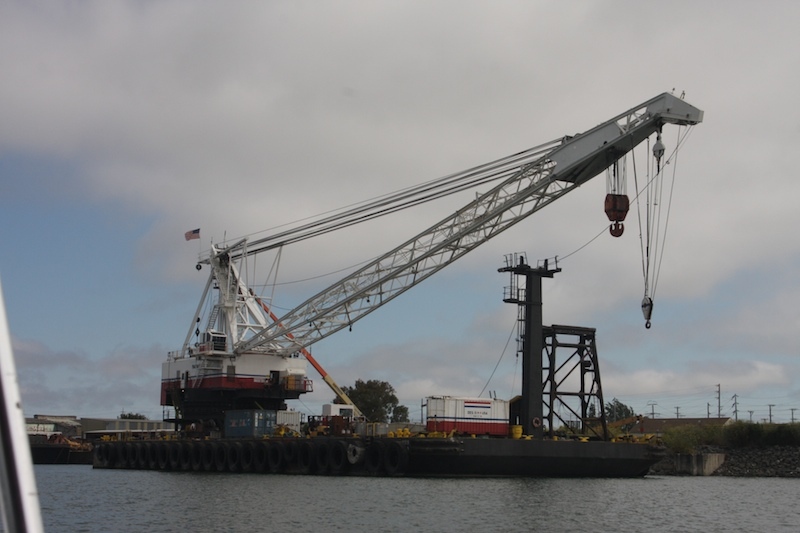 Alameda is where many of the cargo ships load and unload their goods. I have really crappy video of it, if you're interested in watching. You may already know that i hate hate hate cranes. I have an unexplainable phobia of them. But these cranes don't bother me. In fact, I was quite intrigued watching the process. I think because they are so big and perpendicular rather than tilted, I feel safer. You wouldn't catch me walking under it though! The other cranes, I can't even barely look at them, especially when they are in use. When a building goes up and cranes are involved, I never see the process. And whenever there is road construction and cranes are involved, I have a simple process that I go through where I can avoid eye-contact with the crane and still keep my eyes on the road. I just pull down the sun visor, close whichever eye is closest to the crane, turn my head slightly away, and keep my one eye on the road. Weird, I know. It was quite lovely being in the boat in this inlet. Calm, smooth water. Downtown Oakland. My SIL works in that tallest building. 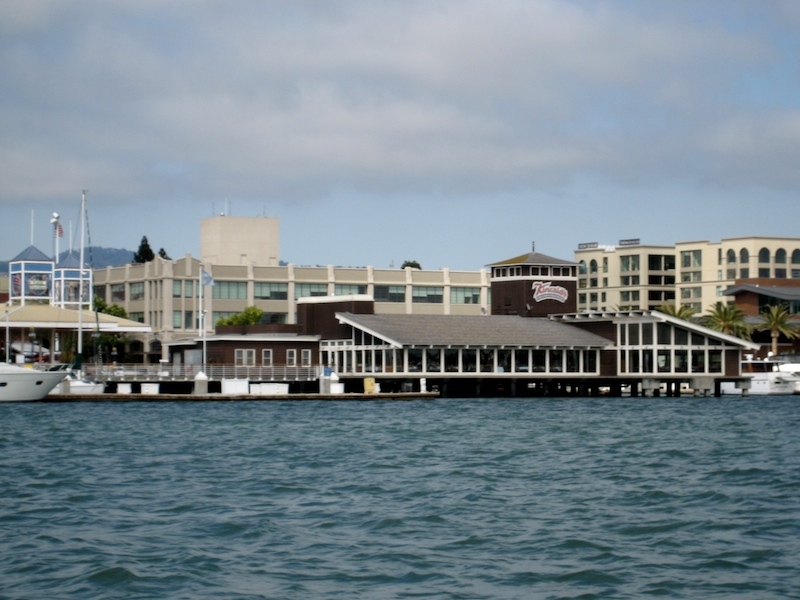 Kincaid's in Jack London Square. Kincaid's is a favorite special occasion restaurant for the Retzlaffs. I hate cranes. I hate cranes. I hate cranes. It took a lot for me to photograph this. and post it to my blog. I'm trying to work though my issues. 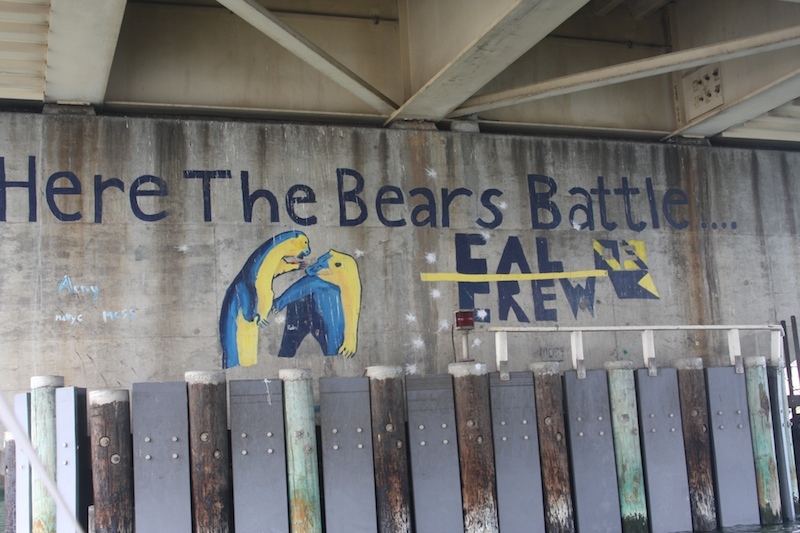 Cal Berkeley rowing crew practice and compete in this inlet. 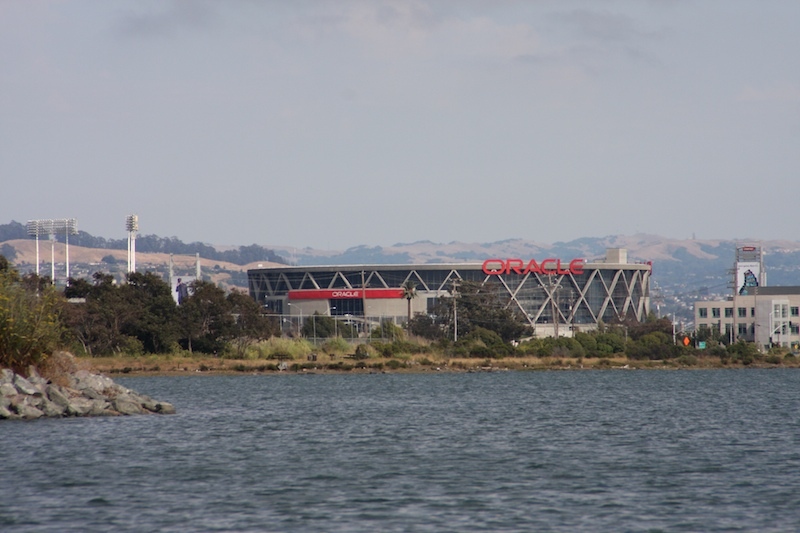 Oracle Stadium where the Oakland Raiders and Oakland A's play. ...then back out into the big bad bay. It got really ugly after that last photo. We stayed as close to the shore as possible, but by the time we got back to the dock, I was completely drenched. The waves were coming up and over the boat, completely soaking us to the bone. I pretty much kept my eyes closed the whole time and had to meditate to not lose it...as in...break down in tears. That wouldn't have gotten us home any faster. I never want to cross the Bay ever again. If we want to explore near San Francisco, we'll launch the boat in San Francisco. If we want to explore Oakland more, we'll stay on that side of the bay. We'll try to go on a warmer day. But now that I know our tiny boat survived, I have more confidence in it. 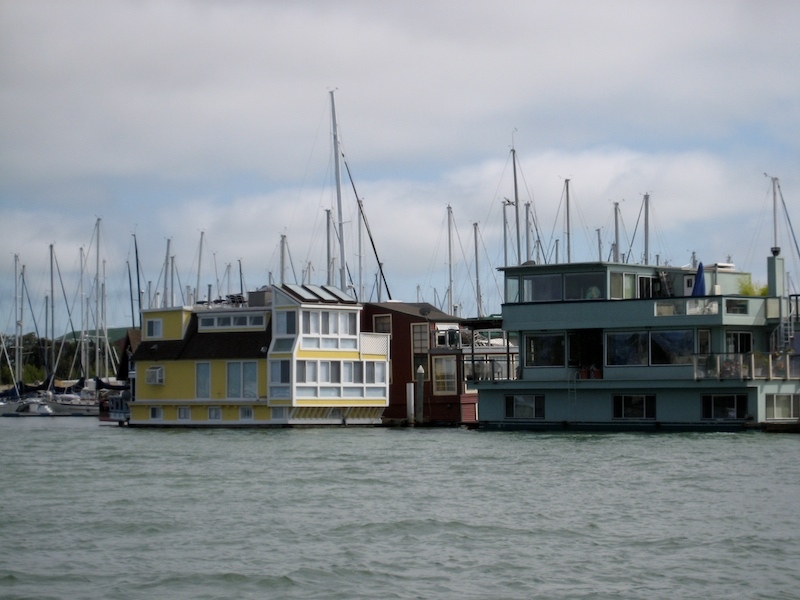 I would love to have a cruise around SF Bay, but on a bigger boat please. 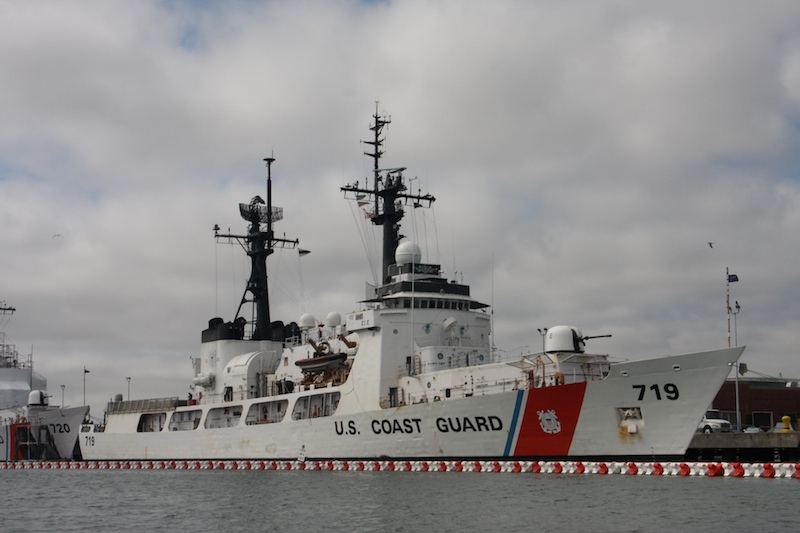 I wouldn't feel safe in a little boat on choppy water. We used to have a sailboat, and even tho my husband loved it, I really didn't enjoy it when it was windy and rough, and that's the whole point of a sailbost isn't it?